Insulin detemir delivered via nasal spray may improve working memory in patients with mild cognitive impairment or Alzheimer’s disease, according to data from a pilot study published in the Journal of Alzheimer’s Disease. Previous studies have demonstrated the potential benefits of intranasal insulin in adults with mild cognitive impairment or Alzheimer’s disease, but no other research has evaluated the effects of intranasally administered insulin detemir, which is a long-lasting insulin analog. For this study, the researchers assigned 60 adults diagnosed with mild cognitive impairment or mild to moderate Alzheimer’s disease to receive placebo (n=20), 20 IU of insulin detemir (n=21) or 40 IU of insulin detemir (n=19), administered nasally, for 21 days. The researchers found a treatment effect for the memory composite in the insulin detemir 40 IU group vs. placebo (P<.05), which was moderated by apolipoprotein E (APOE) status (P<.05). 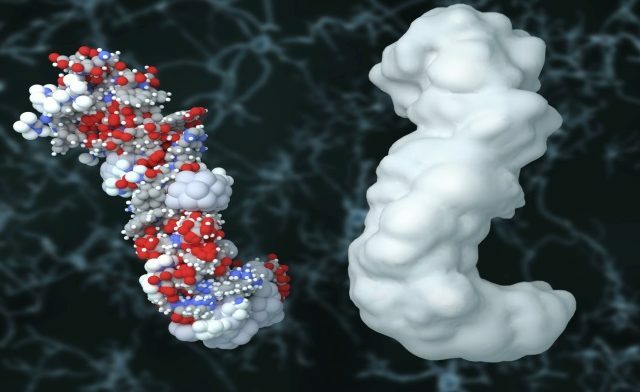 This suggested an improvement in memory among carriers of the APOE-e4 gene (P<.02) — which is known to increase risk for Alzheimer’s disease — and worsening for non-carriers (P<.02). Results identified higher insulin resistance as a predictor of greater improvement in memory with the 40 IU dose (P<.02). Patients receiving intranasal insulin detemir 40 IU also demonstrated improvements in verbal working memory (P<.03) and visuospatial working memory (P<.04), but the researchers found no significant differences in daily functioning or executive functioning, according to the study data. In terms of safety, mild adverse effects were noted. “This study provides preliminary evidence that insulin detemir can provide effective treatment for people diagnosed with mild cognitive impairment and Alzheimer’s-related dementia similar to our previous work with regular insulin,” lead study author Suzanne Craft, PhD, professor of gerontology and geriatric medicine at Wake Forest Baptist, said in a press release. Dr. Craft noted that, while encouraging, more data are needed. Claxton A et al. J Alzheimers Dis. 2014;doi:10.3233/JAD-141791.